Walking into an industrial estate like Defu Lane, one would not expect to find a shop selling biscuits. 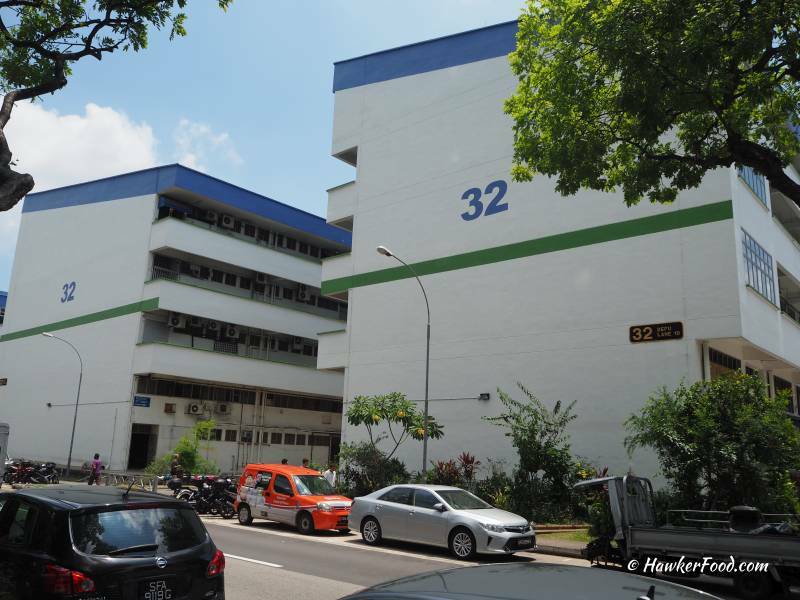 It is a different story here as Lao Beng walked towards Blk 32 Defu Lane 10 (the block on the right) to look for a particular biscuit shop. 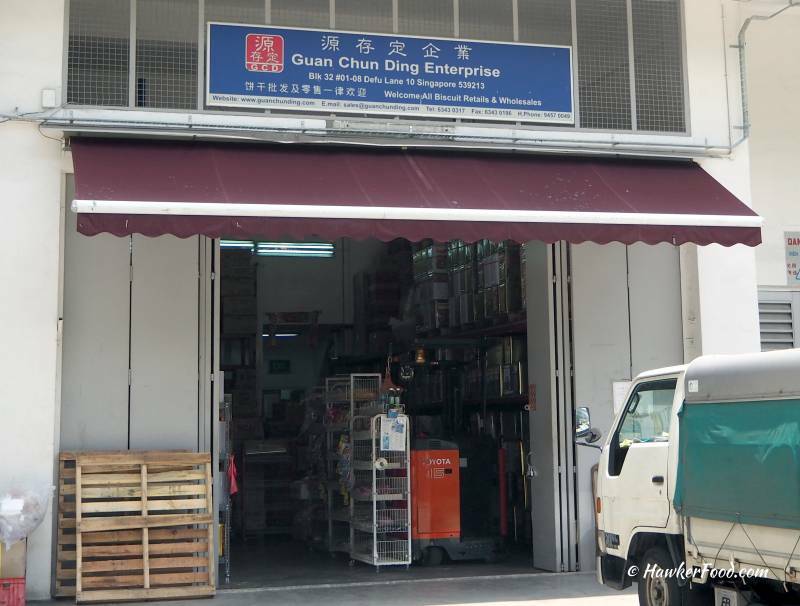 It is none other than Guan Chun Ding Enterprise which started their business in year 2002 as a biscuit wholesaler and retailer. 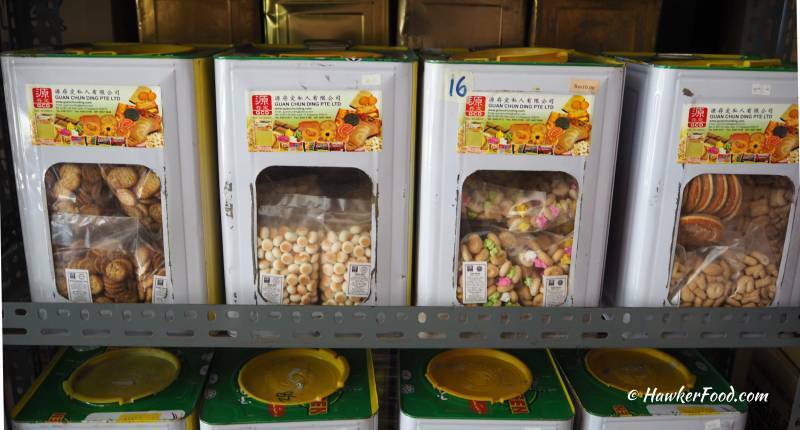 In addition to biscuits, they also focus on selling other snacks and tidbits. 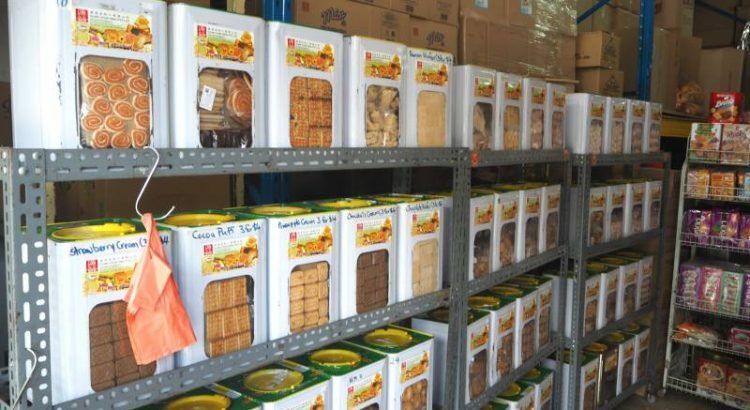 As you walk in, you will be greeted with the sight of rows of biscuits in tin. 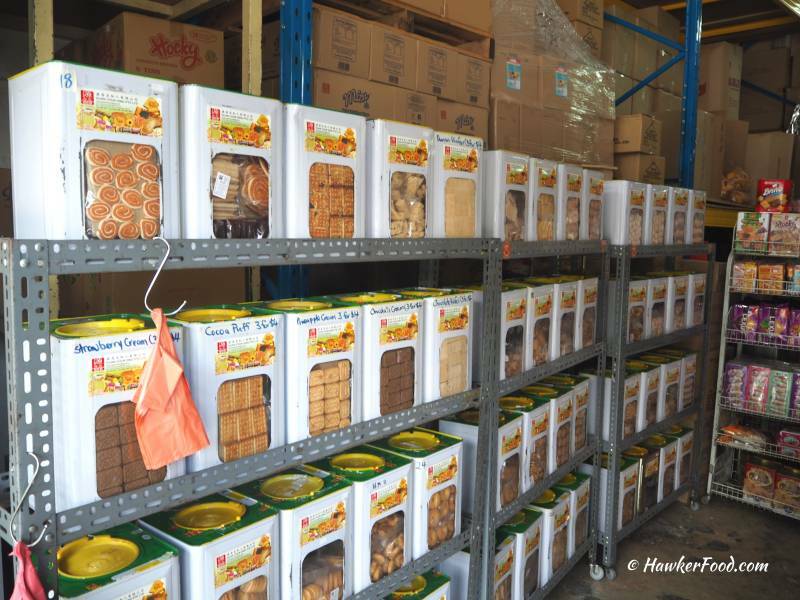 The vast selection here will only mean that you will definitely be able to find something you like and it is unlikely you will leave empty handed. Some of these items are prepacked, or you can buy them by the gram while others can only be bought as a tin. 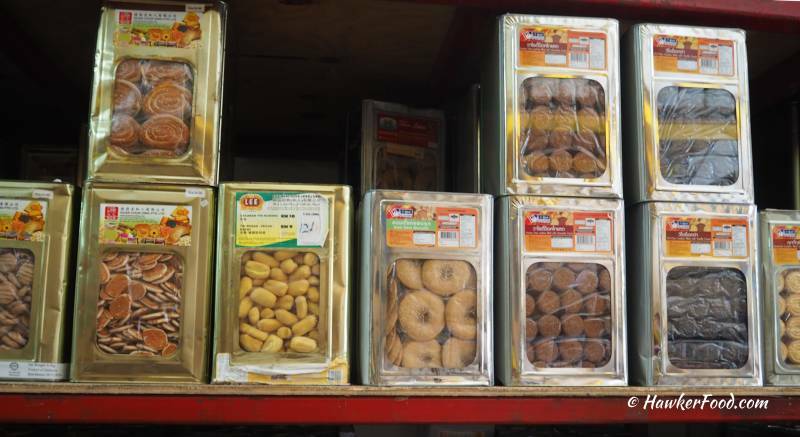 Now, let’s take a look at the variety of biscuits they have for sale here. The small roll cracker in the left most tin reminded me of the slight spicy taste it gives me whenever I eat them. 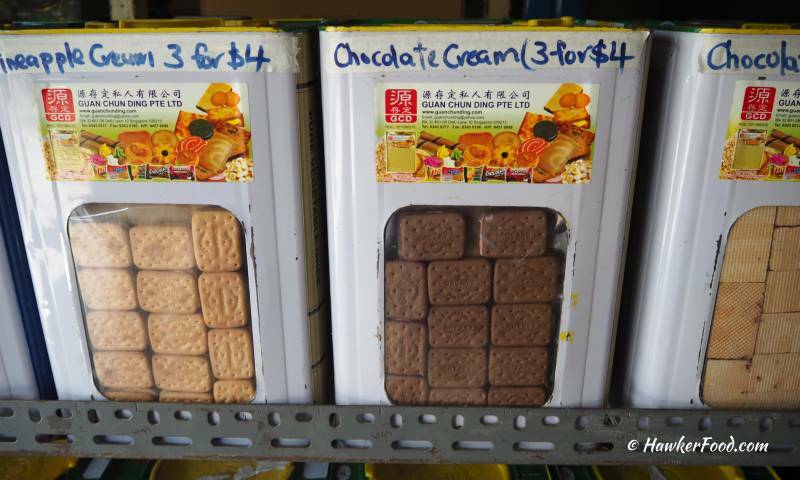 They also have the bigger roll cracker version as well as wafers, sultana biscuit and rice crackers. One can never forget the tasty little treat we had when we were kids. The “ais gem” (iced gem) biscuit is probably the most iconic of them all. Do you remember the time when you bite off the iced gem, savouring the sweetness before you eat the biscuit? Three different variations of pineapple jam biscuits, I was particularly drawn to the smiling pineapple face on the right. Bargains can be had here as well and I personally bought three small packs of biscuits in various cream fillings (Pineapple/Chocolate/Strawberry) for the price of $4. Looking at the opposite shelf, I was able to find some very old school biscuits and I inquired with the Auntie. 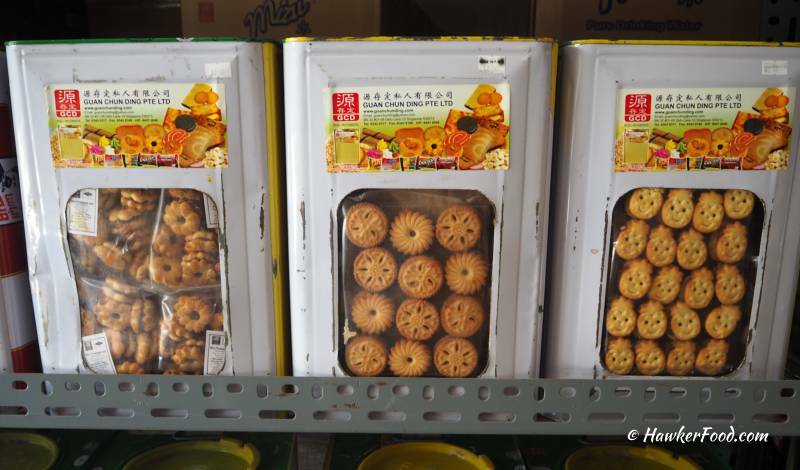 She told me the big round biscuit (middle tin) with darkened filling is known as “Kai Chai Peng” (chick biscuits). 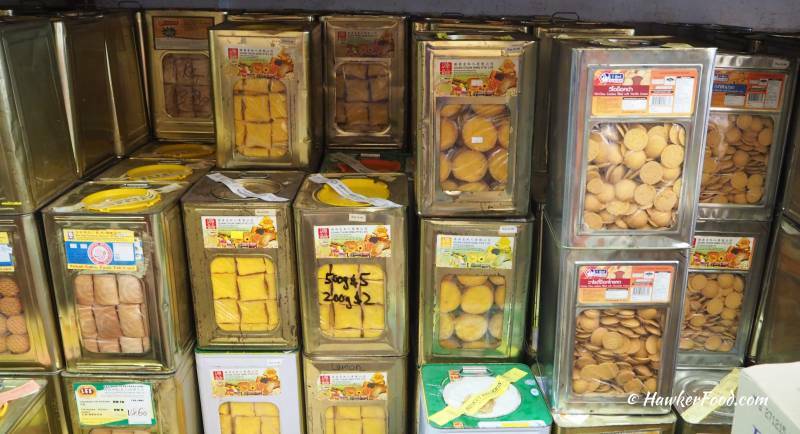 I am always intrigued by the yellow bread biscuit as I remember some older generation elders love to eat this. As for me, I would rather eat toast bread. On the right you can see the small round egg biscuits which is still one of my favourites these days. 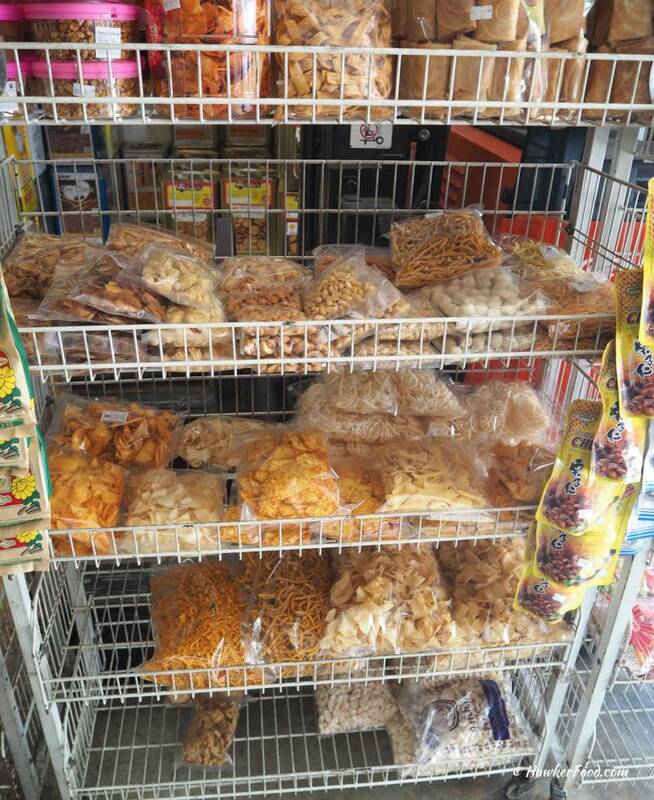 Keropok (crackers) and muruku mix can be found here as well. 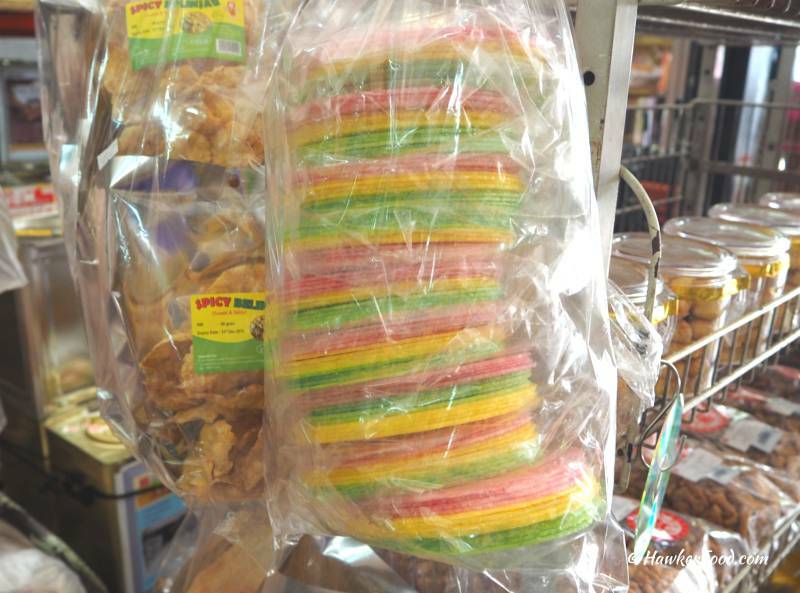 Old school favourites like this thin colourful biscuits can be found here as well. I always remember seeing this when I was a kid and buying them with my last few cents as a snack to be shared with my play mates. In terms of pricing, I would say it is reasonable but it is the variety that attracts me here. 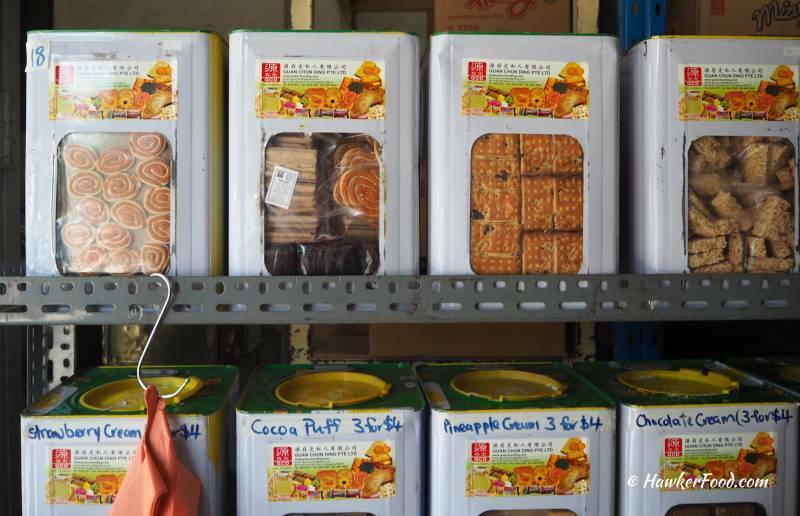 So, if you are a biscuit lover staying in the north-eastern region of Singapore, do pay a visit to Guan Chun Ding for their great selection of biscuits!